Lionsgate and Funtactix, a worldwide developer and publisher of mobile and social games, today announced the launch of a major update to their hit mobile game The Hunger Games Adventures. The game is available now for iPad (2+) and iPhone (4+) on the App Store at http://bit.ly/THG-Adventures. The Hunger Games Adventures version 2.0 is a major update to all aspects of the mobile version of the game and marks the first availability of the game for iPhone. The Hunger Games Adventures was rebuilt from the ground up to take advantage of the latest Apple devices including stunning Retina graphics, Game Center support with achievements and improved touch controls. In addition to these major feature updates, the new version gives players hours of new official Hunger Games story-based content as a lead in to the release of the second film in the series, The Hunger Games: Catching Fire, in theaters November 22, 2013. Over 100 new quests have been added to the game, including an exclusive new storyline that gives players a sneak peek at District 1. For the first time, the official map of Panem is revealed. Unlock the secrets of The Hunger Games universe and explore areas never before revealed. 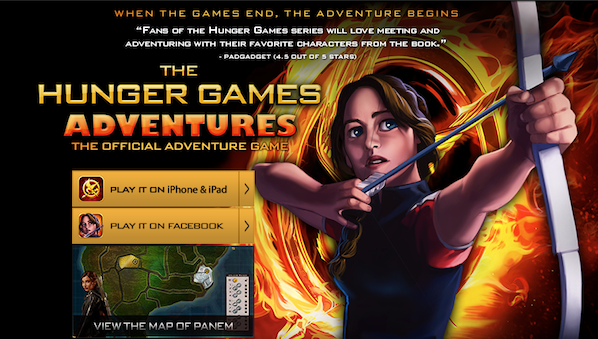 For more information about The Hunger Games Adventures, please visit www.TheHungerGamesAdventures.com. 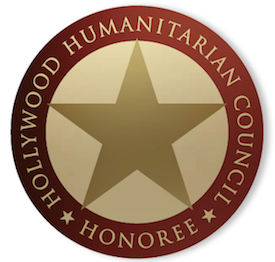 All news about awards, movies, music and television, access to red carpet and live events, and one-on-one in depth interviews with stars and celebrities. News from behind the scenes – backstage, on set, private parties and many other inside pathways of Hollywood.